Note: This is a repost of my original 2017 Summer Play Days post (which went up early last month), with added updates. 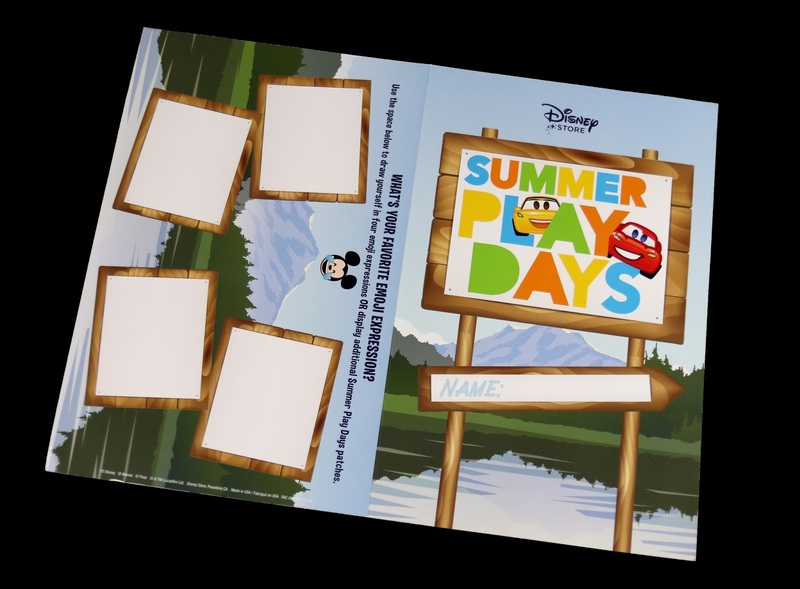 Good times ahead—on June 10th (a week from today), the popular "Summer Play Days" return once again to Disney Stores nationwide! 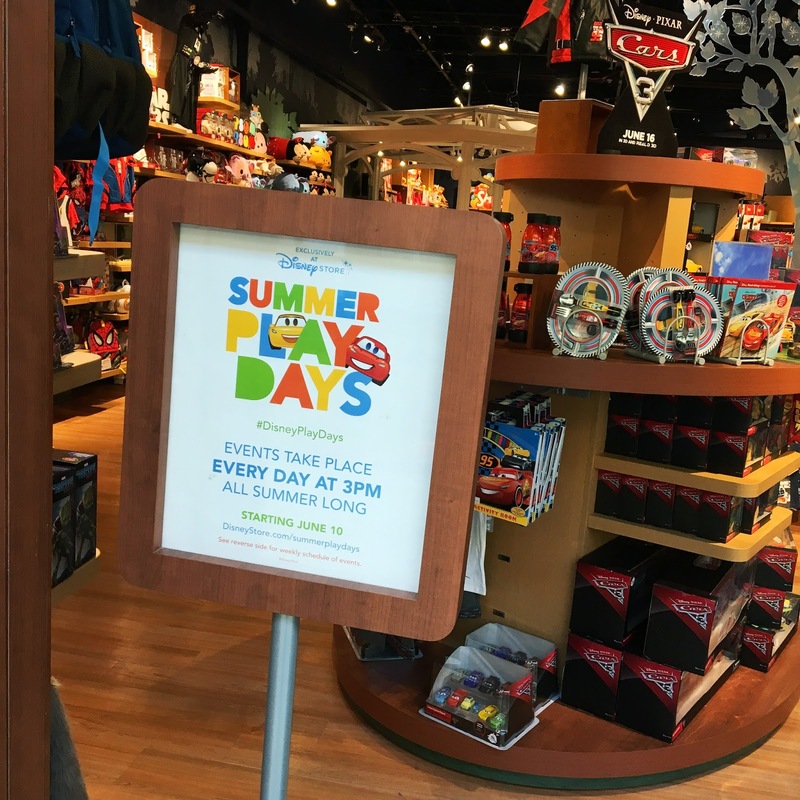 Beginning next Saturday, Disney Store cast members will be hosting a special event every day at 3pm where you and your kids can get out of the heat, have some fun and earn some sweet prizes. The event to kick things off will be a new Cars 3 themed event (which I'm excited to see) and the FREE gifts this year have been revealed to be Disney emoji style embroidered patches, starting with Lightning McQueen on June 10th and then a new character released every subsequent Wednesday through August 9th. The patches are adhesive, but they can also be ironed or sowed onto whatever it might be. Summer Play Days have traditionally been heavy on Pixar theming, which I love to see. They began in 2013 which featured a ton from Monsters University, then in 2015 they where were centered primarily around Inside Out. 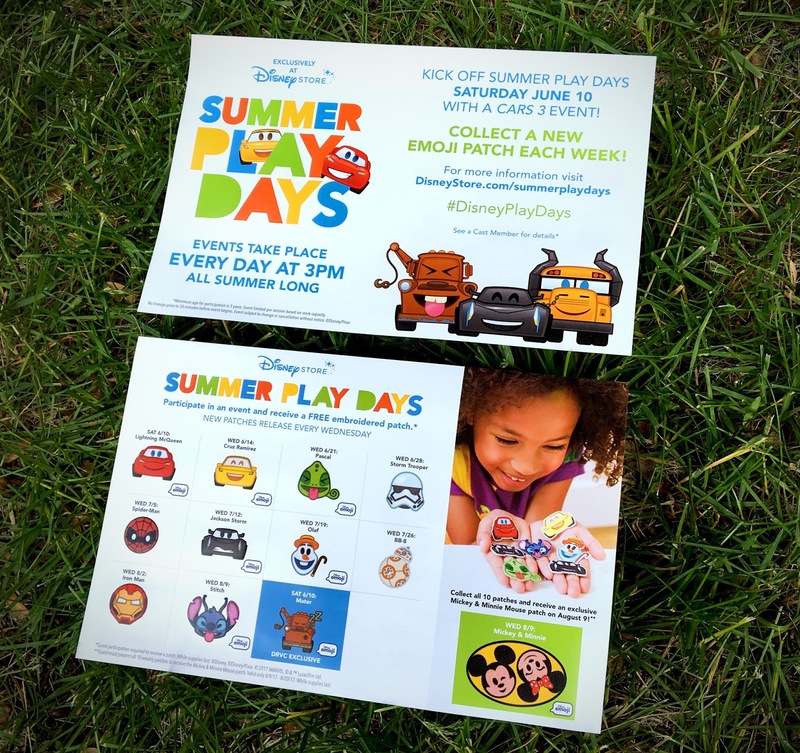 In 2016, Finding Dory took center stage at Summer Play Days and now Cars 3 is revving up the excitement. 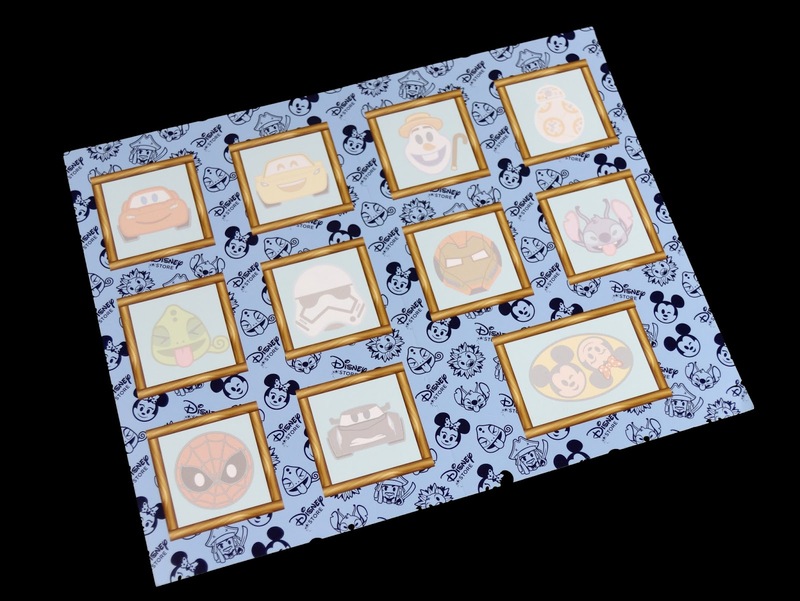 In 2014 there was no Pixar film, so it ended up being a classic Mickey and friends theme. See the entire 2017 schedule, featuring the patch release dates and more, on the handouts below! I'm excited to snag Lightning, Cruz Ramirez, Jackson Storm and Mater. What about you? Which ones do you hope to get your hands on? You'll notice that there are a couple special patches as well, which I wanted to point out. On June 10th, a sleeping Mater patch will be available exclusively to DRVC (Disney Rewards Visa Card) holders. That's also a must have for me! Then on August 9th, if you've collected and saved all 10 standard patches, you'll be eligible to receive a bonus Mickey and Minnie patch. Hot dog! Additionally, look out for two "secret" patches. 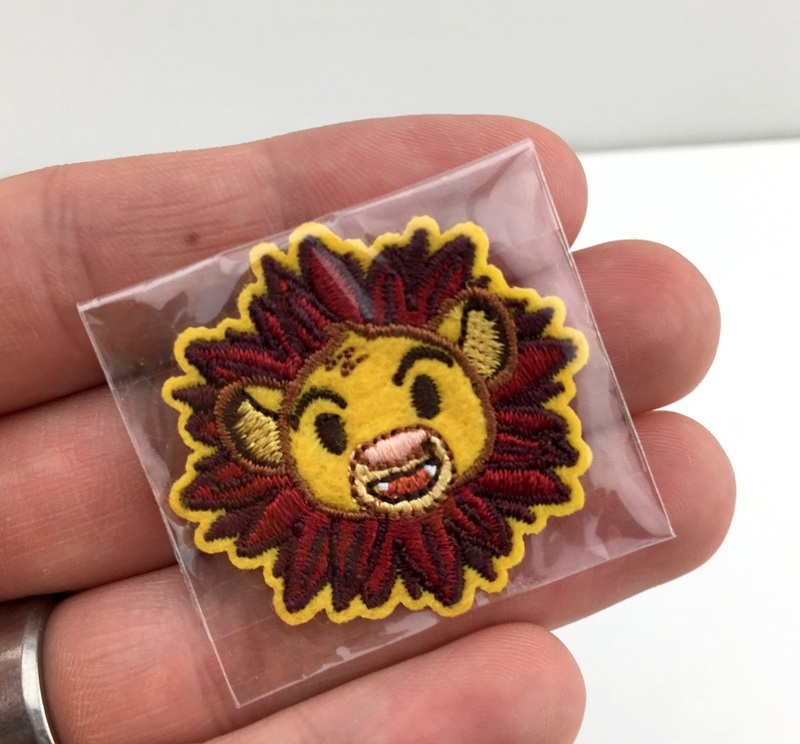 A Simba patch will be given out spontaneously to select guests in Disney Stores (which I have, seen in my photo below) and a Jack Sparrow patch will be available exclusively at the 2017 D23 Expo Disney Store. Don't worry parents, there's something for you too! 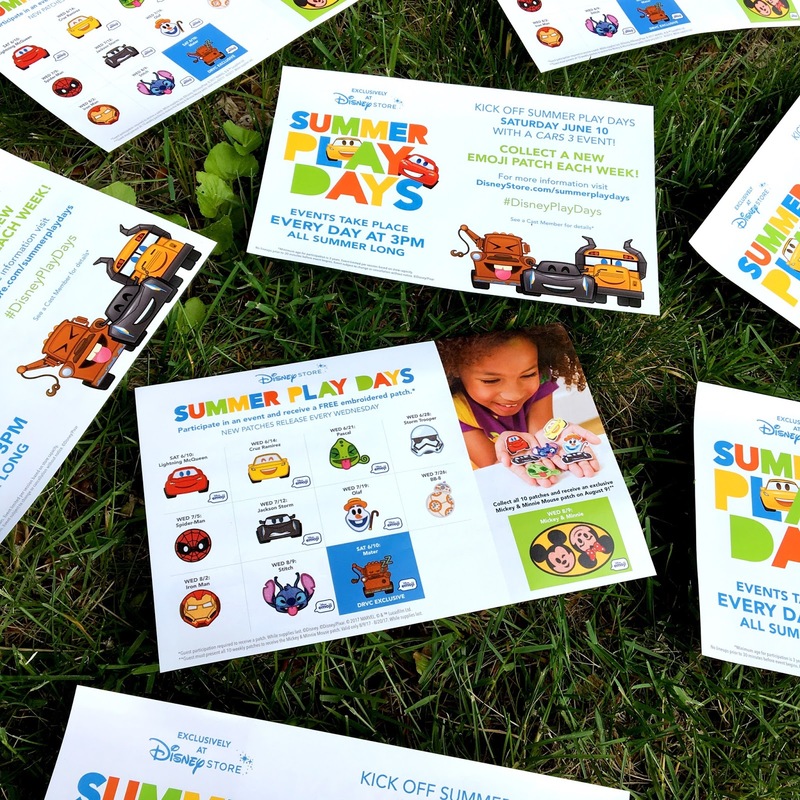 For every five times you visit Summer Play Days during its run (limit one per week), you'll earn a $10 off $40 or more coupon. Be sure to ask for one of their official stamp cards if you haven't already and don't forget to get it stamped each week! As soon as I collect all the Cars 3 patches, I'll add pics of them right here in this post! Until then, have a blast going to Summer Play Days at your local Disney Store and be sure to let me know your experiences in the comments below. By the way, if you happen to be near Danbury CT, stop by! That's the Disney Store I work at and I'll be hosting the events all summer long. Hope to see you there! 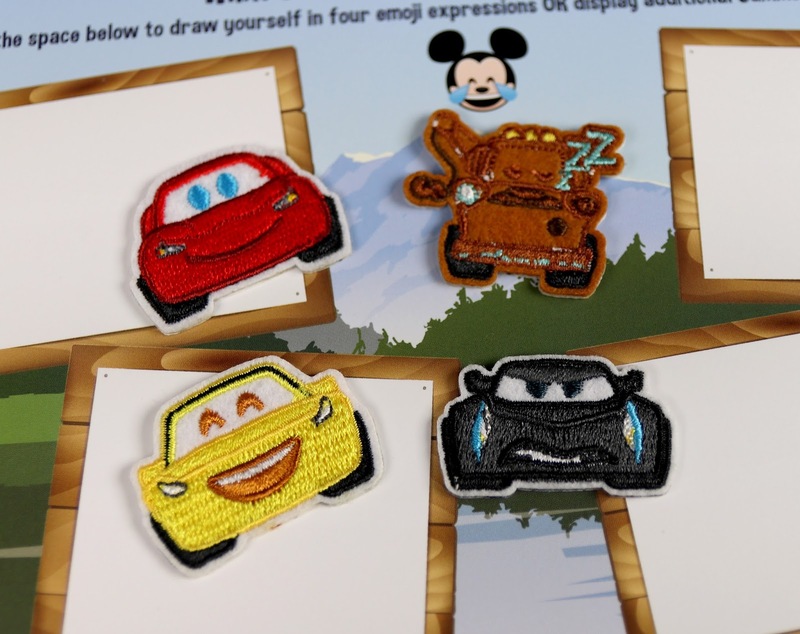 I've officially collected the entire series of 2017 Summer Play Day patches thus far, but these four Cars 3 patches are the ones I wanted to share with you all in this post (given that they're the only Pixar related ones). Also, something I've yet to document on here, below is the folder guests receive to organize their patch collection as they go through the summer. Just stick each character on their designated spot and bring the folder to each event (there's also room for any extras you might receive on the back as well). Check it all out! These patches are absolutely adorable. What should I stick them on? A backpack perhaps?